A real estate lease is a legal and binding contract between the landlord or owner and the tenant. To be binding, it requires that the signing parties be of legal age and competent to enter into an agreement. If your tenant is a student and under the age of consent in your state, you will want to get the signature of a parent or legal guardian as well. It might seem obvious, but you cannot over-describe the property being rented. The address, complete with a unit or apartment number may be all that you need. However, it never hurts to give the apartment project name, building number, or any other information that makes this leased property unique from all others. It isn't enough to just specify a time frame, as in "six months." Have a beginning date and exact ending date. One more step is also important, and that is a time to vacate. Whether it's midnight or five in the evening, you and the tenant should know precisely when the unit is supposed to be empty of their belongings. If you give your tenant the ability to renew, it should be stated specifically in the lease. This area might also include statements about the new rental rate for this period. Some property managers place escalation clauses for rent. It is best if you require the tenant to give you written notice of their intent to renew and that they sign a new lease extension document. If you allow them to continue on a month-to-month basis, be clear in this area about the new rules for vacating the property when in this monthly status. State laws differ about how much an owner can require in deposits by type; security, first or last month rent, or pet and damage deposits. Your lease document should be clear as to the amounts, how the money will be held, and if interest is earned. Important for deposits is a clear understanding as to how the money will be released at the end of the lease. How will damages be determined and valued? What time period is legal for holding the deposits at lease end? Make sure that the tenant knows the day that rents are due, how to pay them, and what happens and when if they are late in paying. Don't just assume that a residential unit will be used for residential purposes. If you allow a home office, say so, or be clear if you do not. If you do, what about business type, visiting customers or parking? How many people can occupy the unit? State a number, or you may find the local fraternity living there. If you will allow subletting of the unit, be very clear as to the terms, whether you must approve the person, and how the responsibilities of the original tenant pass to the party subletting. Many landlords specifically rule out this practice, or they require that they approve on a case basis. The longer the lease, the greater the likelihood that you'll want to enter and inspect for property condition. State your rights in the lease, including the notice you will give, usually a legal requirement. When repairs must be made, be clear as to how repair persons will gain entry and who is authorized. Remember that this is your tenant's home, and their privacy is important to them. If legal in your state, you and the tenant should agree in the lease document as to your ability to accelerate the payment of rents if they violate rules, become an annoyance to others, or fail repeatedly to pay rents on time. Again, depending on your state of residence, you may want to include a waiver of notices. This simply states that it is the tenant's responsibility to know when their lease expires, rents are due, or any other deadlines or due dates. This waives you of the responsibility of notification in each instance. Most real estate investors, owners and landlords get an attorney to draft their lease documents, or purchase a standard form and get their attorney to modify and bless it. This is a good practice, as you do not want to be in violation of your tenant's rights or state laws. 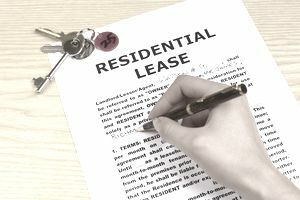 Whether you do-it-yourself or get an attorney, knowing the elements of a good lease document will help you to avoid many negative aspects of landlord-tenant relations. Protecting your rights is as important as doing the same for your tenants. Is Fixing a Home a Good Investment for Real Estate Investors?